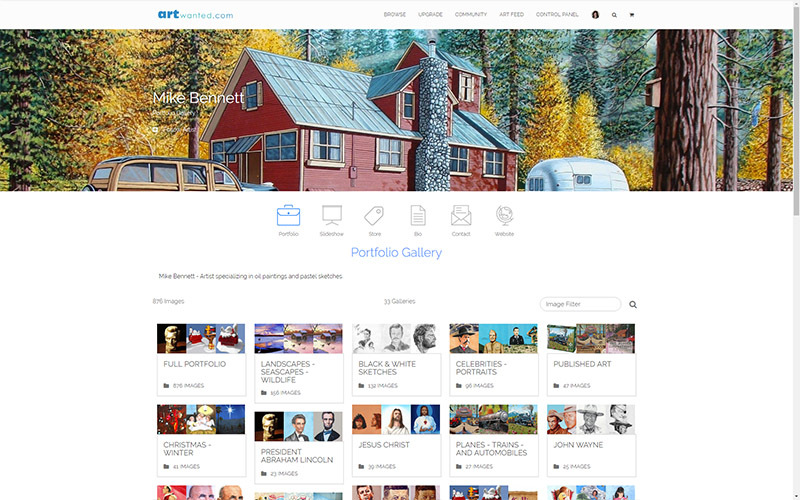 We are happy to announce several new upgrades to the Cover Image Feature of your ArtWanted Portfolio! A cover image (previously called hero image) is a large banner-like header image that is designed to capture attention of the website visitor. For artists and photographers, your cover image should represent your best work and invite the visitor to dive into your portfolio more. 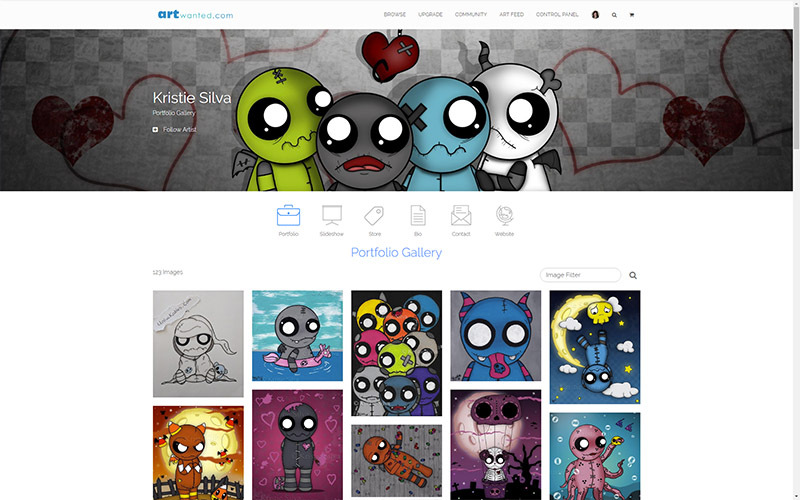 All members of ArtWanted can upload a cover image to enhance the look of their main portfolio page. The cover image can be one of your favorite images or you can create a custom cover image using a collage of your artwork/photos. 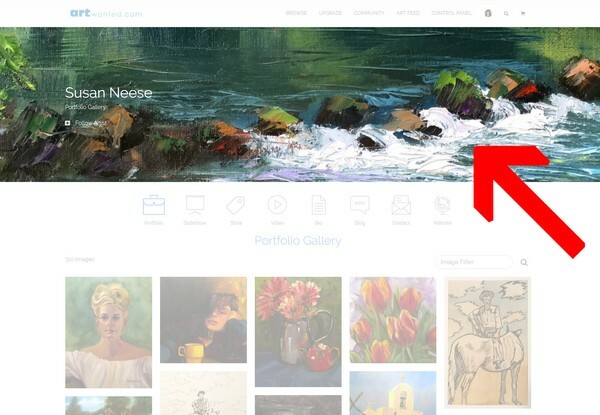 You can now upload a cover image on your PORTFOLIO SETTINGS page. We added a new "parallax effect" option for your cover image display. Choose white or black color for the text above your cover image. 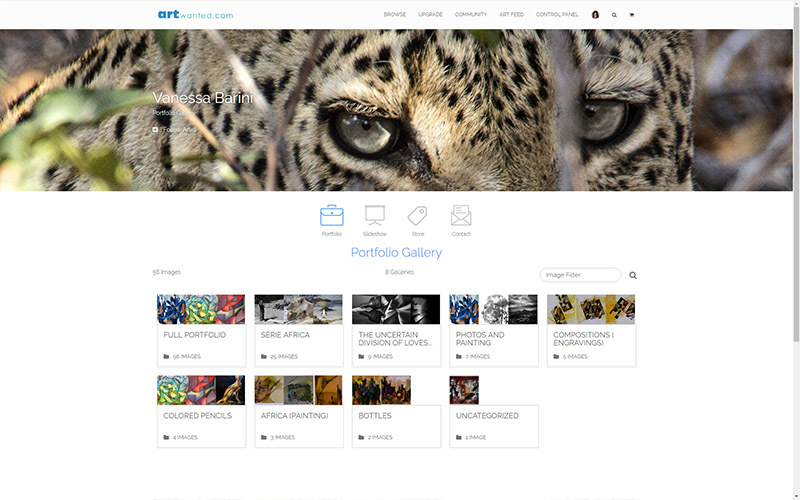 Quickly hide/show the cover image with your portfolio settings..
Horizontal images are strongly recommended. Choose Parallax setting if the image you upload is a normal 4x3 aspect ratio image. JPG images (in RGB color mode) work the best. Text on the image should be avoided, because it may be cropped off. Due to aspect ratio differences between the viewing device and your cover image, expect the sides of the image to be hidden sometimes. The top center of your image is given more focus. After uploading your image, review the results and tweak your image if needed. 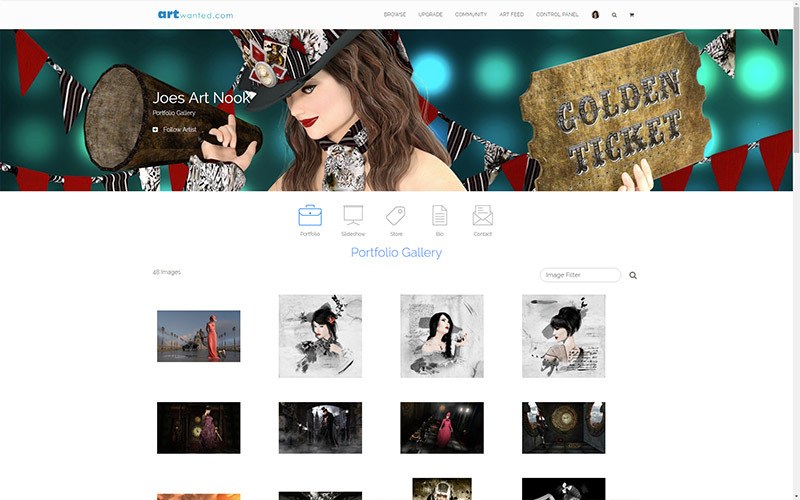 We look forward to seeing what you can do with your portfolio cover images. 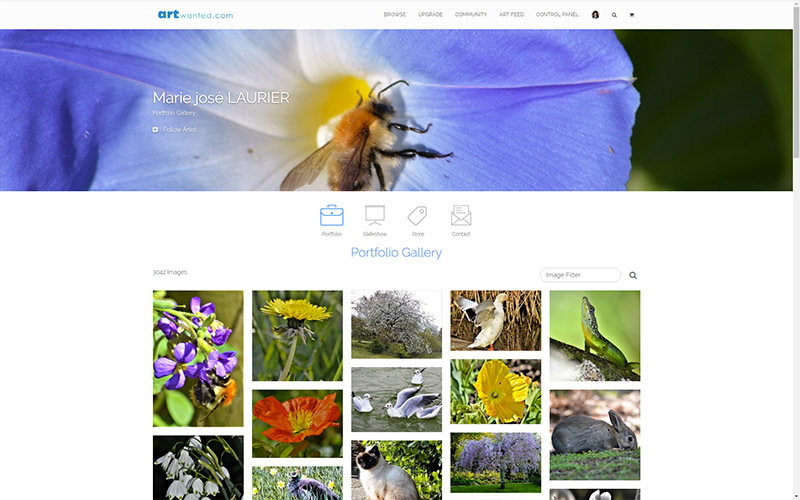 To get started, visit your PORTFOLIO SETTINGS page and upload your new cover image.